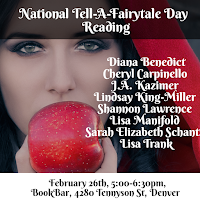 In honor of National Tell-A-Fairytale Day, eight writers will be reading fairytale selections. For adults! I'll be reading The Black Undeath, and will have copies of Blue Sludge Blues, Once Upon a Scream, and Necro-Om-Nom-Nom-Icon for sale. November 20, 2018: Writer Nation. Episode 7. May 28, 2017: Rocky Mountain Writer. Episode 86. May 16, 2017: Functional Nerds. Episode 319. June 21, 2016: Beyond the Trope. Episode 106. I'll also be attending the Writer's Night Mixer at the Root 25 Taphouse & Kitchen at the Hyatt, which is open to anyone who wants to come, whether you're attending the Con or not. Click HERE for information on the mixer. Beers and Fears will be a multi-publisher signing event, and Warrior Muse Press will be there selling books (that's me)! Join me for drinks starting during happy hour! 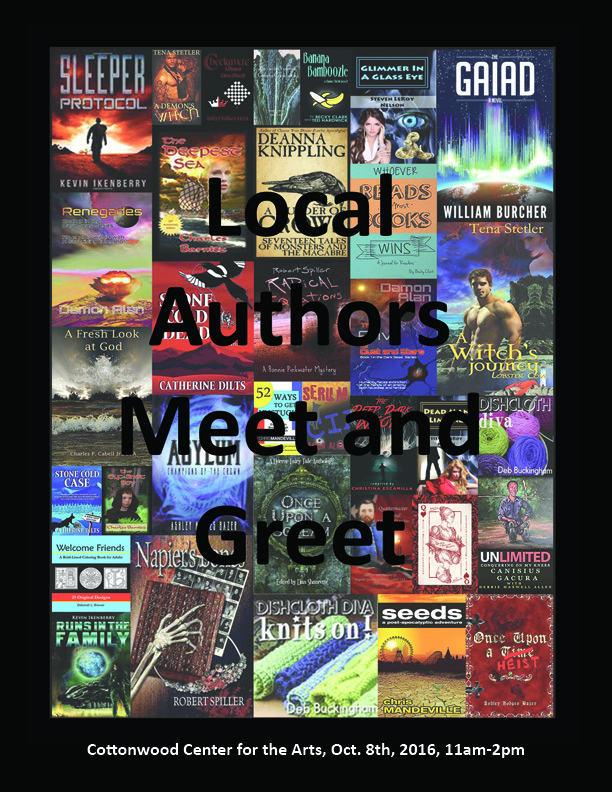 There will be books available for sale and to be signed, but this is intended to be a celebration of the book release, so come to chat and drink. Join us for the release of a unique anthology -- The Necro-Om-Nom-Nom-Icon. A very fun collection, Lovecraftian in style, in which each entry is paired with a recipe. Edited by Colorado Springs resident Jason Dias, and with contributions from some of the most exciting writers to work in horror today. 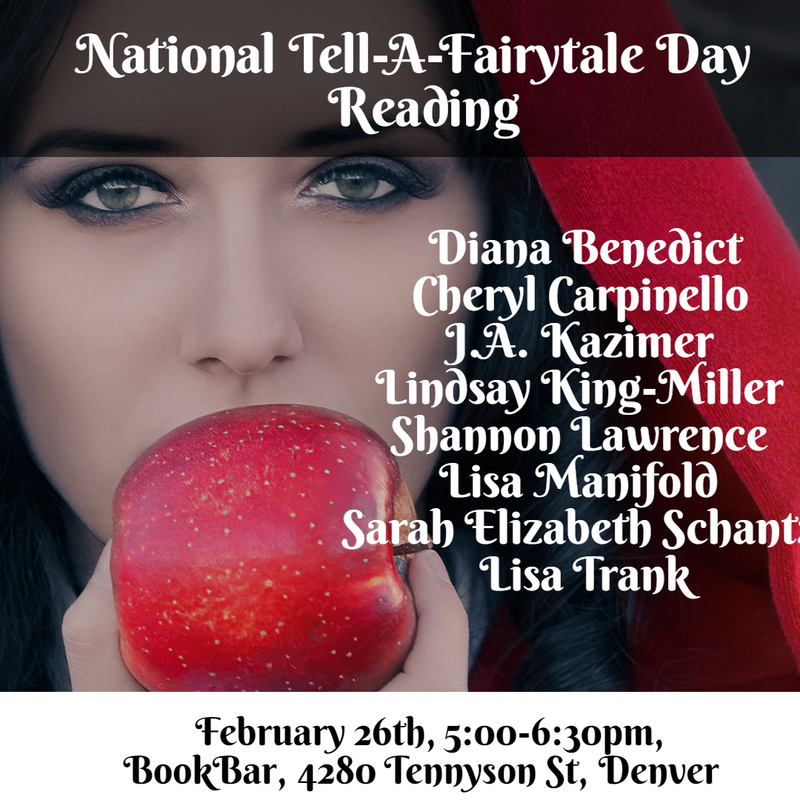 Join us for readings and food and drink and get your copy signed! Writing is Art First Friday Gala Opening! Come experience art inspired by art. Short stories and poetry paired with the visual art that inspired area authors. Refreshments. Deconstructing the Horror Genre - Everyone has their own definition of horror, but it's often oversimplified. The genre extends beyond jump scares and slashers. We'll break horror down to its base elements to learn how to build a solid horror story. Saturday, September 9 - 4:30 PM to 5:20 PM - Aspen Room - The Long and Short of Short Stories - Writing short stories is a fantastic (and fun) way to hone your craft. In this workshop, we’ll explore short stories from conception to publication. What qualifies as a short story? How do you submit? And where? We’ll discuss all this and more. Sunday, September 10 - 11:00 AM to 11:50 AM - Aspen Room - Scents & Sensibility: Using the Senses to Improve Your Writing - To fully engage readers in your story, they have to be able to imagine the setting and identify with the experience. Using the senses in descriptions and scene creation can enliven your writing and provide a fuller experience for the reader. Flexing Your Short Story Muscles - Short stories are regaining popularity, with new markets regularly opening up. Want to try your hand at them? We'll discuss how short stories vary from novels in terms of plot, characters, and other story dynamics, plus how to get your foot in the door by submitting and marketing your short works. There's no better time than now to find out what the fuss is all about and to get involved. Location: Will be held in a member's home, so address is to be sent upon RSVP. Brief, But Deadly - All about the benefits of writing short—writing short stories to drum up readers for your novels, writing short fiction for the sake of the story, awards, and visibility. 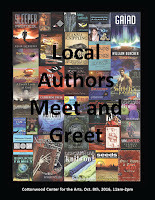 I will be signing copies of Once Upon a Scream, The Deep Dark Woods, and Through Clouded Eyes: A Zombie's Point of View. Copies will be available for sale, with a portion of the proceeds benefiting PPLD. This event also features two panels and a keynote speaker: Mark Lee Gardner. I am NOT a speaker, just signing, but this is a great FREE event. Submitting Short Stories - A ton of information is available online to help you query novels, but what if you're trying to submit short stories? We'll go over formatting, finding open markets, cover letters, and what happens after. 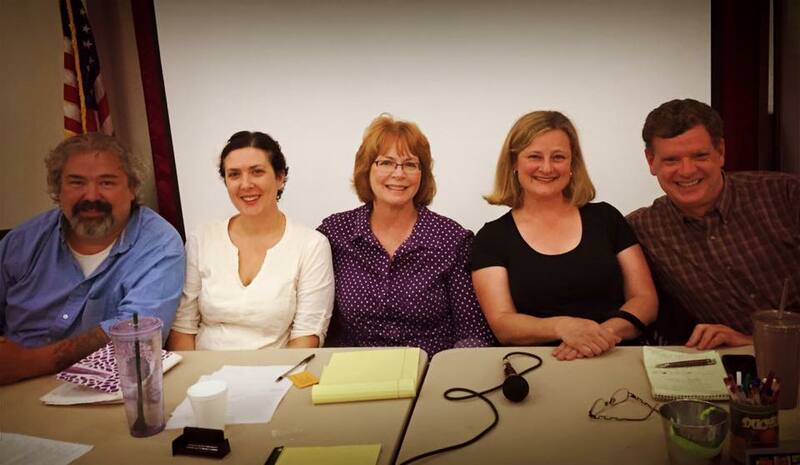 Short Stories: Good for the Novelist, Good for the Career, Good for the Soul - A panel with Sam Knight and Stant Litore - Short stories are often an overlooked gateway to many advantageous things in a writer's career. We will offer up some really good reasons to consider publishing a few: making new connections, learning new genres, experimenting with (and improving) writing styles, and more! Friday, October 28, 2016 - MileHiCon - Horror on the Menu: Different Flavors for Different Tastes - 9:00 PM - From psychological chiller to special effects splatter punk there are many types and flavors of horror. Our panelists explore the varied menu. Saturday, October 29, 2016 - MileHiCon - SF/F Outside the West - 12 PM - A discussion of science fiction and fantasy outside of Western (US and European) cultural tropes and tones—including works by and similar to those of recent Hugo Award winners Cixin Liu and N.K. Jemisin. Saturday, October 29, 2016 - MileHiCon - Reimagining History With the Living Dead - 7 PM - Just add zombies—how would history change with the living dead walking among us? Sunday, October 30, 2016 - MileHiCon - Supernatural Fan Forum (I'll be hosting/moderating) - 3 PM - A discussion of all things Winchester… and Cass and Crowley, too, of course. October 8, 2016 - 11 AM to 2 PM, Cottonwood Center for the Arts - Book signing in an art gallery - Presented by Jmars Ink and Courtney Literary in conjunction with Indie Author Day. 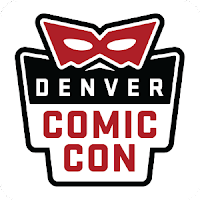 Denver Comic Con - See Official Schedule for More Information. June 18, 2016 - Denver Comic Con - Monsters, Not Just for Horror Anymore - Room 502/503 - 4:00 PM to 4:50 PM - Monsters come in all guises these days. Horror elements have begun to trickle through the rest of speculative fiction. Sometimes vampires glitter. Sometimes werewolves are debonair and charming. We'll discuss how various, once terrifying beasts are now appearing in urban fantasy, paranormal romance, comedy, and yes, horror. June 19, 2016 - Denver Comic Con - Twisted Fairy Tales in Media - Room 502/503 - 11:00 AM to 11:50 AM - These ain't your mama's fairy tales. Fairy tales have been rediscovered. These days, they're being expanded on, mixed with different genres, and overall rebooted for the modern age. Books, short stories, movies, and television feature an array of new fairy tales, from the monstrous to the magical. What's being published and why? 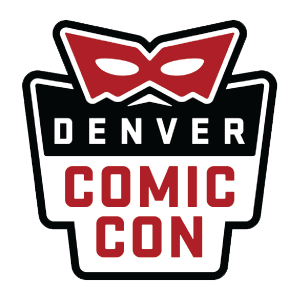 June 19, 2016 - Denver Comic Con - Why We Write Short Fiction - Room 506/507 - 2:15 PM to 3:05 PM - The pros and cons of short fiction. But mainly the pros. April 17, 2016 - Pikes Peak Writers Conference 2016 - To Make a Long Story Short, Writing short stories is a fantastic (and fun) way to hone your craft. In this workshop, we’ll explore short stories from conception to publication. What qualifies as a short story? How do you submit? And where? We’ll discuss all this and more. April 16, 2016 - Pikes Peak Writers Conference - Book Signing. Signing copies of The Deep Dark Woods. 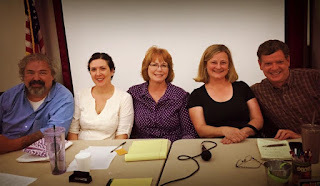 April 15, 2016 - Pikes Peak Writers Conference 2016 - Building Blocks of Horror, co-presented with DeAnna Knippling, MB Partlow, and Sue Mitchell (the Ladies of Darkness): What is horror, why does it appeal to writers and readers, and where do the boundaries lie? How much is too much? Attend a panel discussion to get multiple perspectives on horror writing techniques. Learn from four darkly creative souls how atmosphere, gore, suspense, fear and humor work in the horror and related genres, plus how they handle them all. A-to-Z Challenge-G-Cult Classics: Galaxy Quest, Ginger Snaps, Guns N Roses, and More! Plus, the Scavenger Hunt is on.